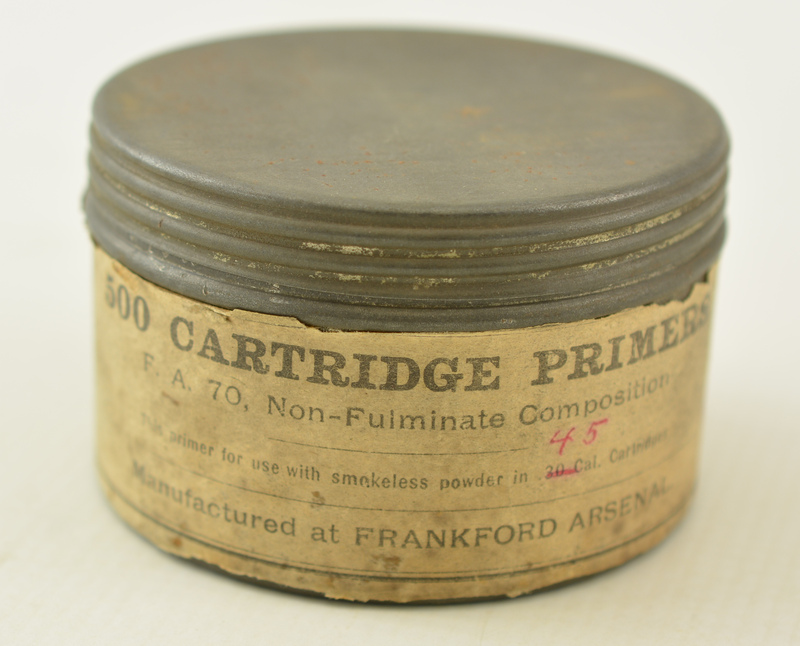 Description: This full 500 primer tin contains ten cardboard layers holding 50 primers each with a small piece of white cloth between each layer. 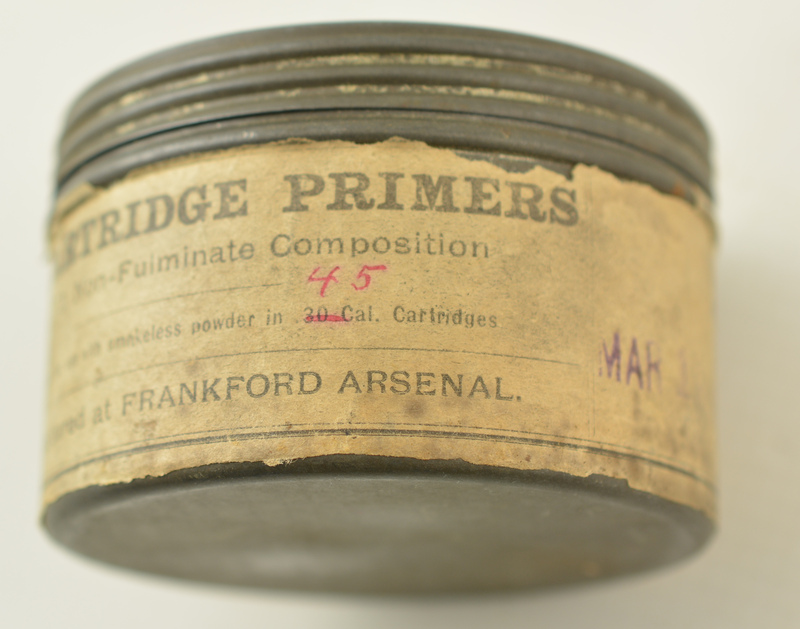 Label is dated Mar 19, 1919, very close to introduction date of these first glass-free, non fulminate composition primers. 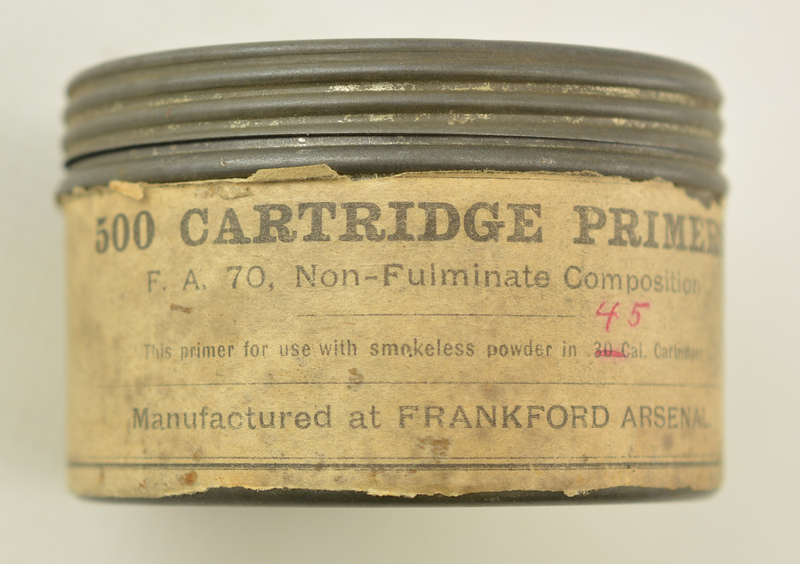 Label has 30 cal notation crossed off with 45 handwritten above. 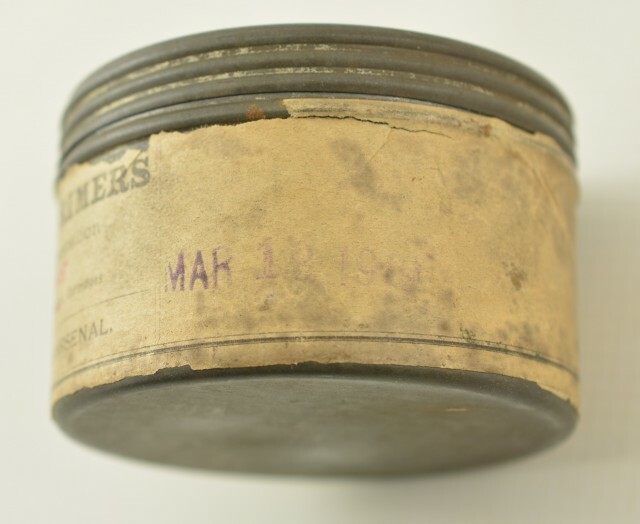 Label show soiling and edge wear, all text remains legible. 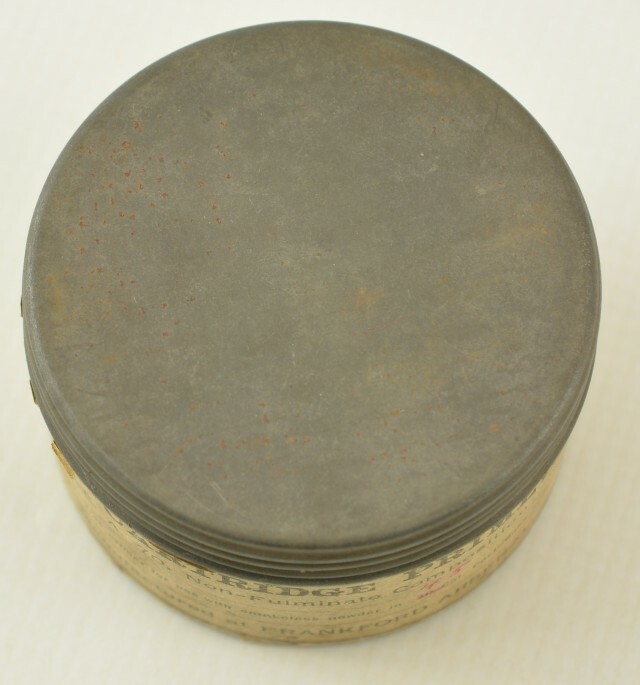 Can has developed a dark patina. An interesting item from the Development of modern non-corrosive primers.